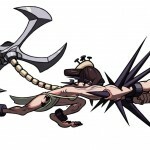 Check out these new artwork from Skullgirls.This game is published by Autumn Games and is expected to be released by next year on PS3 and X360. 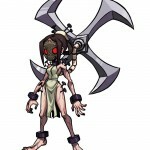 Skullgirls is a new 2D fighting game that puts players in control of fierce warriors in an extraordinary Dark Deco world. 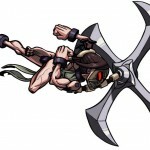 The team is led by renowned fighting game champion Mike “Mike Z” Zaimont and artist Alex “o_8” Ahad, whose work has been featured in many publications, including Lava Punch and Girls of Gaming. Using advanced graphical technology never before achieved in a game of its type.